Manitoba's Minister of Crown Services says no directive was issued to MPI's board of directors regarding modernization of the Crown corporation's services — but she didn't say the government wouldn't issue such a directive in future when asked by a reporter. Manitoba's minister of Crown services says no directive was issued to MPI's board of directors about modernization of the Crown corporation's services — but she didn't say the government wouldn't issue such a directive in future. "What I am going to say about this matter is I encourage brokers and MPI to work together for the betterment of Manitobans," Colleen Mayer told media Tuesday, after a reporter asked if she's planning to give a written directive to the board. "That's cost effective rates, that's better service. I believe that both parties can work together to find a solution that will serve Manitobans." The minister spoke to media after a reported clash between the Manitoba Public Insurance board of directors and the Insurance Brokers Association of Manitoba, over the Crown corporation's plan to allow Manitoba drivers to buy auto insurance online. 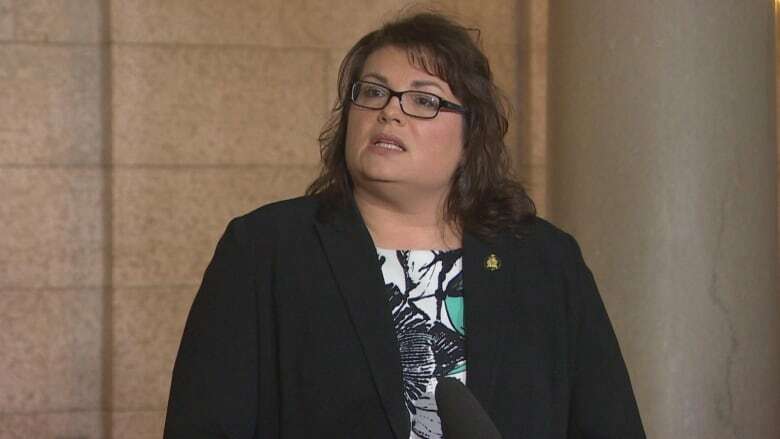 Her comments followed controversy last week, when a story in The Winnipeg Free Press quoted an unnamed board member, who said the provincial government is lobbying on behalf of insurance agents. Asked Tuesday if the insurance brokers association is working to stall MPI's efforts, Mayer said that's not the case. "I wouldn't say stall. I think that they are concerned," she said. "I want to put on the record, be very clear, that brokers are small business owners in this province, and are a key component to our economy. They're very important in this province, and we want to ensure that all those voices are heard. That's why I'm encouraging continued negotiation." Mayer said it's not established yet whether online services would reduce the demand for insurance brokers, who receive compensation for every transaction they finalize. She said she's not expecting any resignations from the MPI board, and hasn't heard concerns from any board members about interference. Tension between the province and MPI wouldn't be the first conflict between the Progressive Conservative government and one of its Crown corporation boards. Last March, the Manitoba Hydro board resigned en masse, and Manitoba Liquor & Lotteries and its board chair parted ways earlier this year. Last week, Manitoba Public Insurance board chair Mike Sullivan dismissed the suggestion of unrest between the province and his board, although he's only spoken with his colleagues by conference call since his appointment was announced in February. Management at MPI declined an interview Friday, but CEO Benjamin Graham said in a prepared statement "discussions are being held on how this customer service model will evolve over time to meet the changing needs of our customers." Grant Wainikka, CEO of the Insurance Brokers Association of Manitoba, told CBC on Friday the association supports online service delivery, but argued it should be conducted through brokers. MPI paid $83 million to independent insurance brokers in 2017, according to the Crown corporation's annual report for that year.